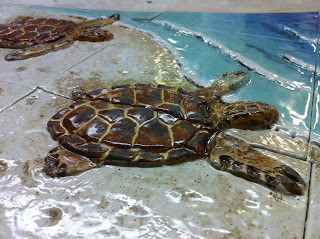 Diane's Art Stuff: tile turtle table top is done. 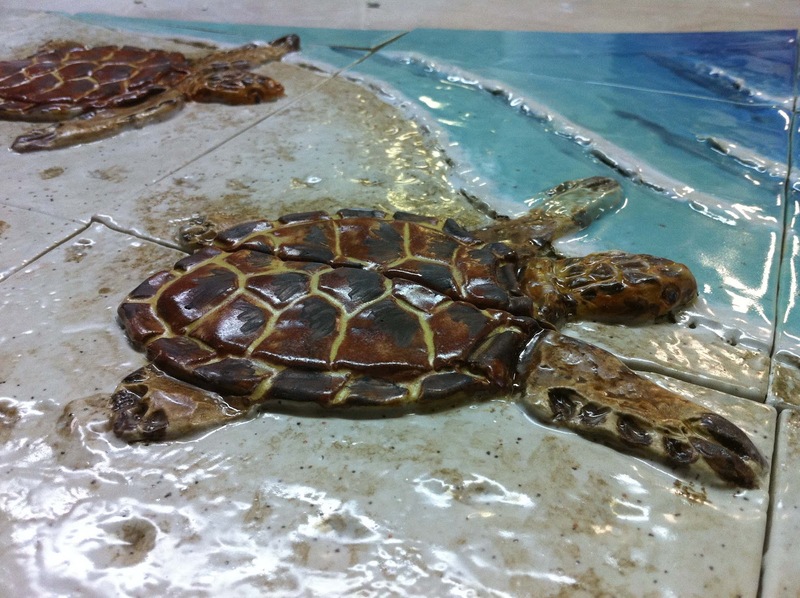 tile turtle table top is done. 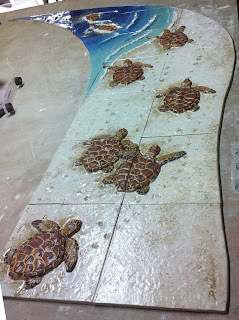 I have glazed and fired the tiles for the turtle table top 3 times. I fired to cone 4 first. (aprox.2025degrees) this matures the tiles. 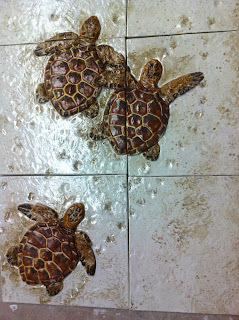 When they came out, they were all shiny. 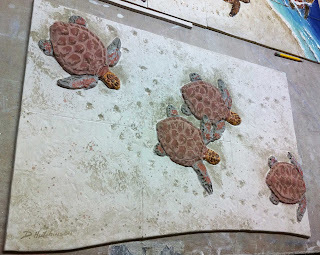 I put a coat of transparent matt glaze over the sand areas and refired to cone 05 (much cooler but still over 1500 degrees). I wasn't happy with the way the matt glaze came out. 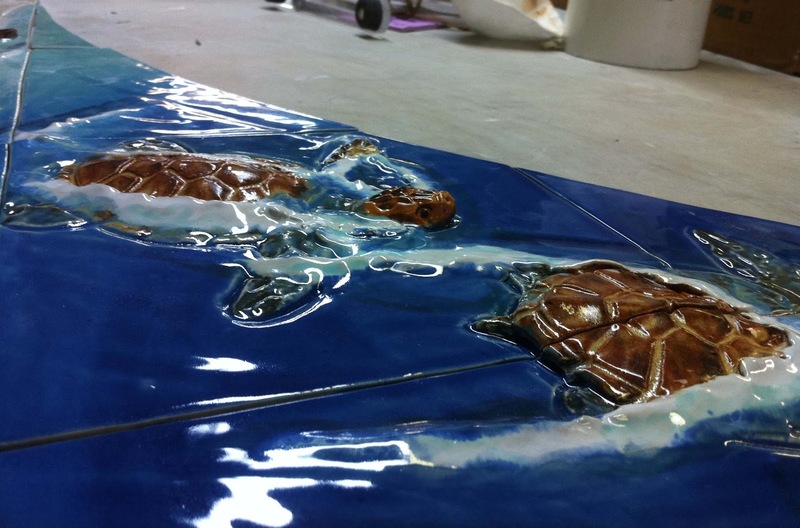 It was a milky white so I refired the tiles again a little hotter. That did it. 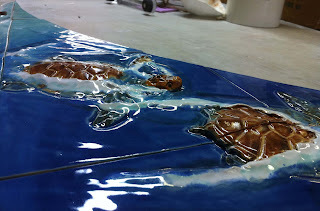 The tiles came out a semi gloss (not matt) but still not a shiny as the tiles with water. Here are a few pictures of the finished turtle tiles. I can't wait to see it installed. Heres to a great day.